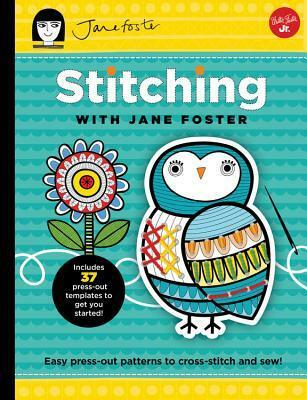 Stitching with Jane Foster from QuartoKnows for review. My Dear Sophy by Kimberly Truesdale, a Kindle freebie. Twenty-three year old Sophia Wentworth lives a quiet life in the small country town of Milverton. Here she helps her Papa, the town doctor, visits with her friends, and attempts – usually unsuccessfully – to keep her younger brothers Edward and Frederick out of trouble. When the opportunity to marry the handsome and attentive young curate who’s just moved into the next town presents itself, Sophy is tempted by a life of pleasant repetitions and obligations, a life that will keep her at the center of the town and the community she loves so much. Captain Conrad Croft grew up in Milverton, where his father is the rector. He has spent the past fourteen years traveling the world with the British Navy. On a surprise visit home, Conrad meets Sophia – who was just eight years old when he left. He becomes intrigued by this woman, the silent core of strength for the entire town. When his attempts to draw her out succeed, Conrad discovers an intelligent, witty, strong woman who might just be his perfect match. He only has to convince her of it before he sails away again. Pride and Persistence by Jeanna Ellsworth, a Kindle freebie. The Young Phantom by David Coward, a Kindle freebie. The tale of the murderous Phantom of the Opera and his addiction to Christine is one that is known around the world. But the early years of the horribly disfigured Erik remain shrouded in mystery. His life begins in a lonely tavern on a deserted, French road. An emergency birth and the only help available is from the man-midwife, Père Lapôtre. Unskilled and unfeeling, Lapôtre’s gruesome attempt at the child’s delivery dooms the child to grow up to be the one called the Phantom. Rejected by his parents, only Françoise truly cares for him. When his mother reclaims him, it is only to humiliate and punish him for sentencing her to a life of pain and misery. Cast out again to fend for himself, he embarks on a life of loneliness and danger which takes him to the other side of the world. He returns to France where he seeks human love only to find it is written that he is not made to know human happiness. Stubborn by Heather C. Myers, a Kindle freebie. Ronnie Bixby is a sassy, foul-mouthed American college student with a penchant for Joel McHale and dancing to Katy Perry songs. Aiden Shawe is a sarcastic, uptight Englishman with more money than either of them can count. When they collide, steam rises and puddles form. Due to social situations – including but not limited to: Aiden’s sister becoming Ronnie’s college roommate, Ronnie’s sister falling in love with Aiden’s best friend – they are forced to interact with each other. As they slowly start to get closer, an old school acquaintance of Aiden’s enters the picture and does something that could potentially ruin any chance Ronnie has with Aiden, especially if Aiden’s influential Aunt Judy Solomon has anything to do with it. But that’s only if Ronnie and Aiden can overcome their respective pride and admit to having feelings for each other in the first place. Gardening 101: Friendship Gardens by Henry Owen and Katherine Metzo, a Kidle freebie.